Try the cView viewer for Crystal Reports or one of our Crystal Reports scheduling products. 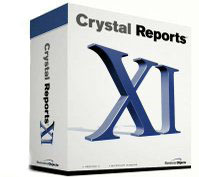 Crystal Reports XI is a previous version which remains available for purchase. Click here for current versions of Crystal Reports with pricing. Crystal Reports XI page to purchase. Click for current Crystal Reports versions. Need volume licensing or a product not listed here? Contact us for pricing and availability.